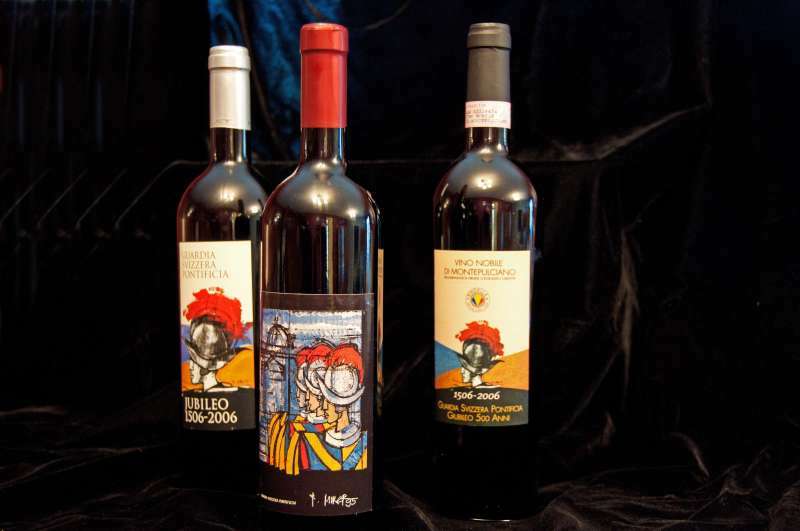 This wine was commissioned strictly for the Swiss Guard in 2006, their 500th anniversary. Beer was also commissioned and brewed for them with a label similar to the wine bottles. Over the years Father Kunst has befriended the Swiss Guard and through these connections he has been able to procure these various bottles of wine and beer.